In front of you is despair, doubt and fear. However, there is no other way forward. Use your wits and skill to navigate both real and imaginary settings to finally find freedom. Why do all this when you can simply use Gauge? 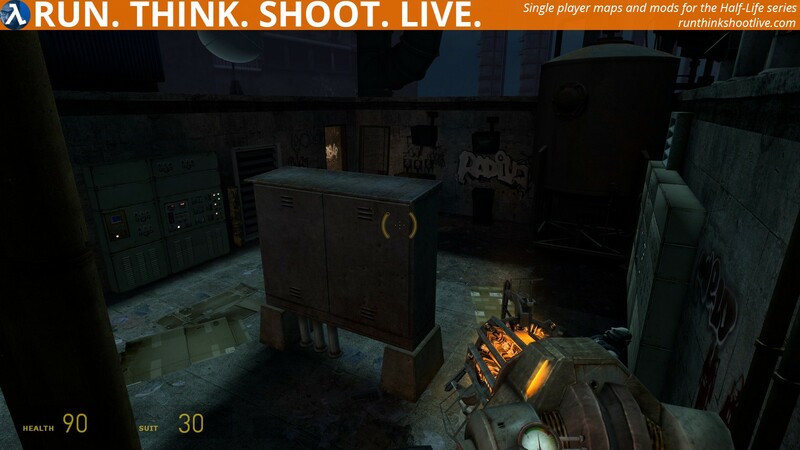 Copy dysnomitude1.bsp and dysnomitude2.bsp files into your …\Steam\SteamApps\common\Half-Life 2\ep2\maps\ folder. Copy dysnomitude1.ain and dysnomitude2.ain files into your …\Steam\SteamApps\common\Half-Life 2\ep2\maps\graphs\ folder. Open the console and type map dysnomitude1 and now press ENTER. No, the uploaded file is the right one, I just forgot to edit the template of BASIC DETAILS. Fixed now. for some strange reason my game started with the last map so I had no weapons but the magnum on the table which was not sufficient to kill all the combine. 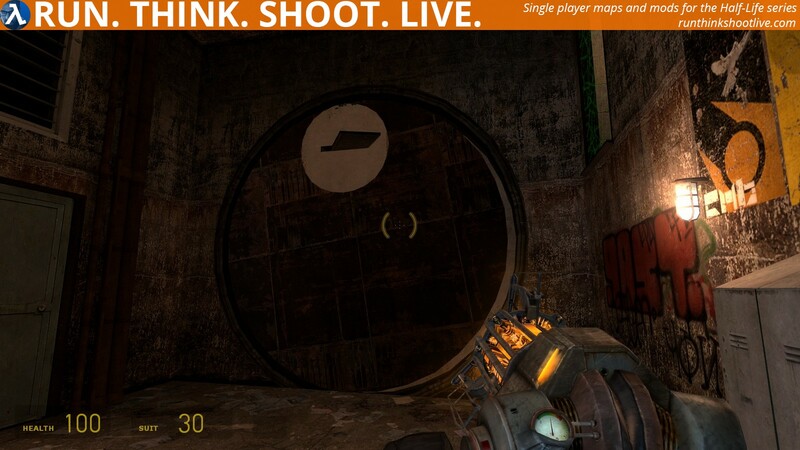 I re-loaded and found the crowbar in the “real” first map. Did you use Gauge? If you did, maybe you didn’t select Dysnomitude1. Hi Philip. Gauge stopped working on my machine a long time ago and even after reinstalling it just fails to launch, a mystery to me. I went back to maptap which seems to work. Dysnomitude1 just launched itself at the start of map 2 and after I died it started back at map 1. No biggie just weird. Yeah, that’s pretty weird. regarding Gauge and MapTap the first version of Gauge was just a rename of MapTap. Please feel free to contact me directly if you want me to investigate further. I’m here! What can I do for you? Just your average crowbar hanging around on the internet and talking to people. Nothing to see here. It’s a Miigga couple of maps so expect your trigger finger and brain to be well exercised! It’s very beautifully textured and lit and surprisingly quiet to start with, but that changes very quickly! Puzzles are intuitive but tricky and some tricksy so save before frustration! A roller mine falling through a lever instead of operating it as an example. Laser operated doors are a nice puzzle feature and you are well guided by lights. But when the doors open the combine arrive, in fours! A Miigga feature is why have a hunter when you can have more? But armed with a grav gun and not much else in a confined room they are a handful! And why not antlions too! A falling watermelon maze had my brain turning to brian at one point, but once I got use-d to the control I opened the way ahead! A simple slab of metal plate in rotating slot puzzle had me grinding my teeth in maddening frustration! Watching a play through I wondered why my slot was screwed slightly, but several quick saves later I got through! 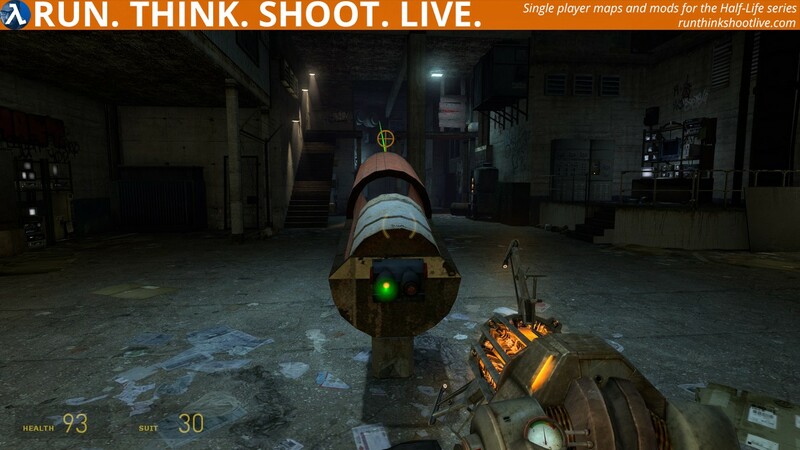 The next map has a barrel cannon (is that non canon!) that was great fun and combat free! But before that, the amazingly off the wall train ride! A surreal little train ride, with watermelon leads onto some careful climbing across a bizarre trail of HL objects and wobbly wooden chandeliers, due to an attack! The last level is also here in the otherworld. A combine gunship attack thwarted by lamps not rockets! The lack of any real cover makes this a real challenge. Miigga at his best. Short but a real gem, a tough gem! There was an unsurety of what to expect when loading up Dysnomitude. At the start, you could be lead into thinking it would be a shooter heavy sort of level but very quickly, there was a realization that the majority of the map was based around puzzles. In many circumstances, this would not be a good thing but each and every puzzle in this map were cleverly designed and fully thought through. 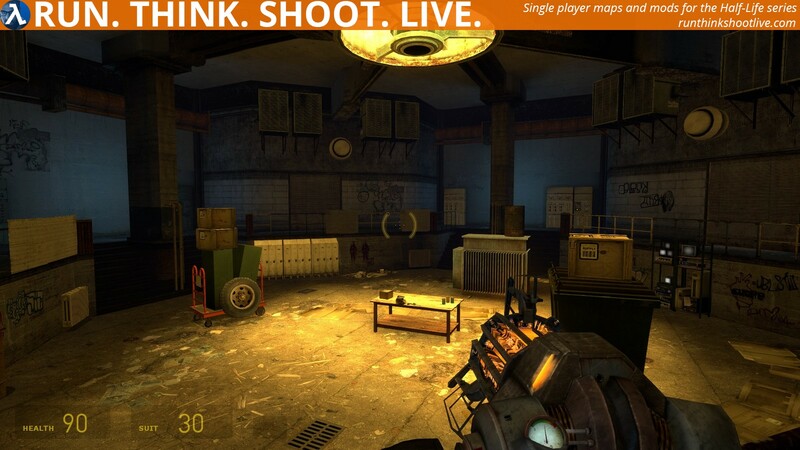 It encouraged the player to check each and every prop in the area and try and test the equipment. After the first few puzzles, you think you have the hang of it all to then be met with something even harder. Every puzzle was balanced as they appeared difficult to start with but after thinking and searching, can be solved. Each gives the player a sense of achievement. Of course there were enemies as well at what seemed like random locations. (Not counting the roller mine as its very important) But the hunters, combine, man hacks and ant lions that appear almost seemed pointless. A fight for the sake of a fight? This did not detract from the map overall. It remains fun with or without the enemies. The final boss fight was slightly underwhelming. The general feeling was that there should be a bit more to it. Puzzles to receive the sources or something like that would be an option. The strange locations with the blackness also seemed random but fitted in with the general feel of the map. The rest of the map looked really good. Dysnomitude by Miigga was fun to play. 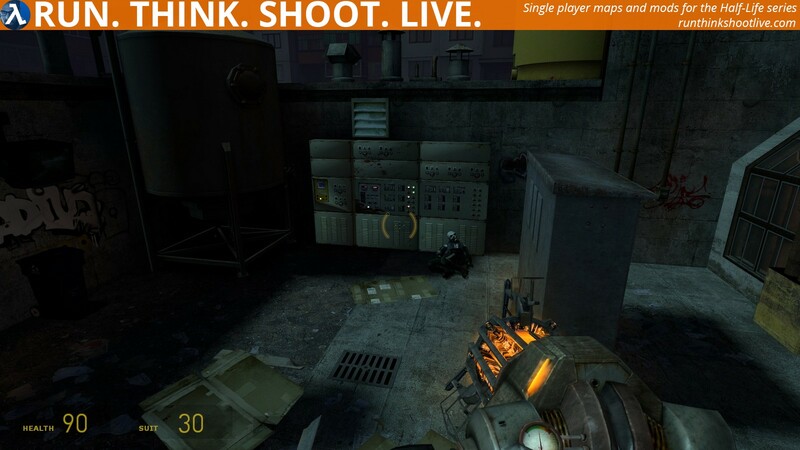 Even though it does not follow the standard game play of Half Life 2 maps/mods, It’s just as fun and in many places more challenging. I would recommend it to anyone who loves to play any sort of HL2 maps. wow. this was great, a little on the puzzle-y side, but it’s a Miiga map? what’d you expect? but i digress, beautiful, challenging that rollermine puzzle was tricky, i just couldn’t figure out what to do. 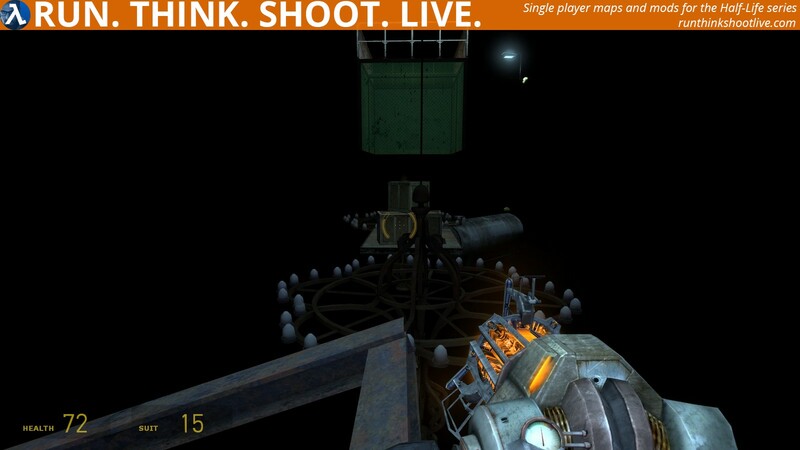 i then found the rollermine, xD. the gunship boss fight was also difficult, walking across open platforms, carrying an object with the Gravity Gun, so I can’t sprint, that was tough! i would love to see Miiga get together with some other mod authors, and combine his creative genius, with their storytelling, to create the ultimate story driven mod…. 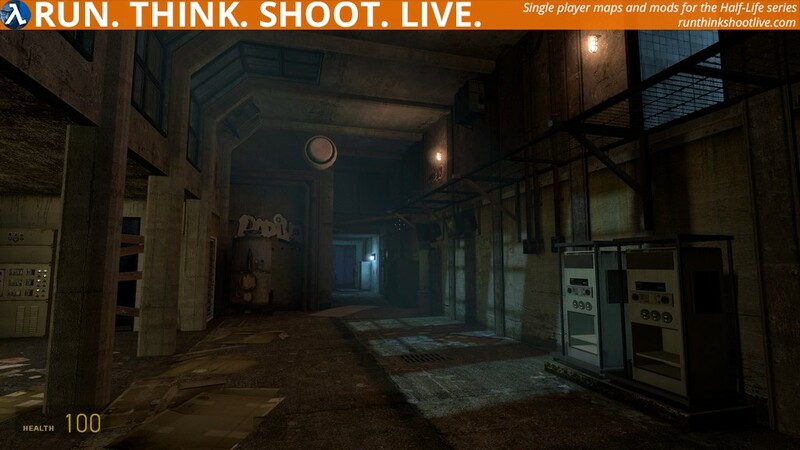 If you are part of this community, there is really no reason not to play this map. Outside of this community though, it is not the most “must-play” map out there, but even mentioning this shows that this must be a very good map, if that makes sense to you. There is a simple reason this map doesn’t get a “personal favorite” from me, and that is the abstract and artificial nature of everything. I know that that’s the authors style, and it’s fine too, but by doing it that way the author dodges a lot of challenges other mappers have to face. In the end I always put gameplay first though, so that isn’t really a problem. 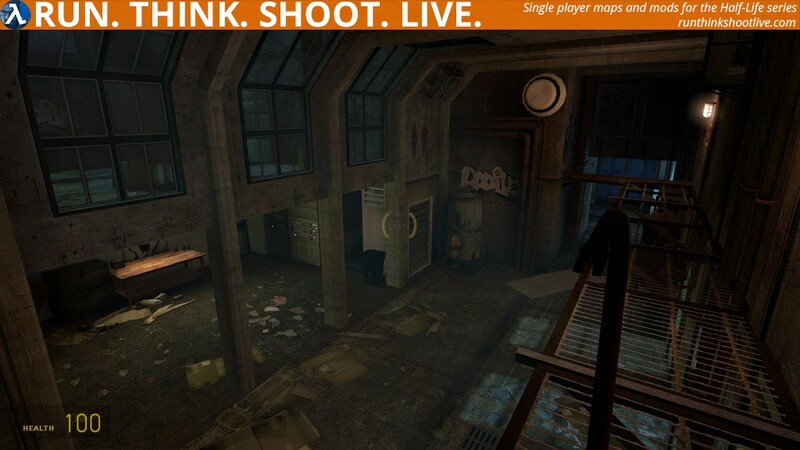 I’m just mentioning it, because if all the puzzles and everything were part of a realistic and consistent world, then this would be a truly special map. The map has a few annoying things. In one of the arena battles I got screwed by the random loot from the crates. I broke the crates immediately before the fight, and all I got were grenades, so I get punished for not knowing that the crates are “dynamic resupply” or whatever the author did there. The final battle got a bit frustrating towards the end, because you are so slow when you carry something and the gaps everywhere became annoying. These are just minor nitpicks though, and didn’t impact the whole experience at all. Most of the puzzles gave me a smile for different reasons. Sometimes I had a “Aha!” moment, other times I just was happy about the creativity, and for most puzzles it wasn’t just fun to think about the solution, it was also fun executing that solution. Visually it isn’t always great, but some areas look really good, especially the lighting. The abstract puzzles break that a bit though. I also like the use of music, because music was only used in a few instances, and even there the author didn’t choose the most epic tracks for no reason. The music, or the silence, always fits the moment. This map is definitly a must play as I said. It reminded me how fun well made puzzles maps can be, and I want to play Portal again because of this :). This was the first map by Miigga I played btw. This was a lot of fun, the puzzles where really creative and enjoyable. But more enjoyable to me was the weird abstract areas, I realized after how it was actually the same guy who made those abstract maps on the Garrysmod workshop. 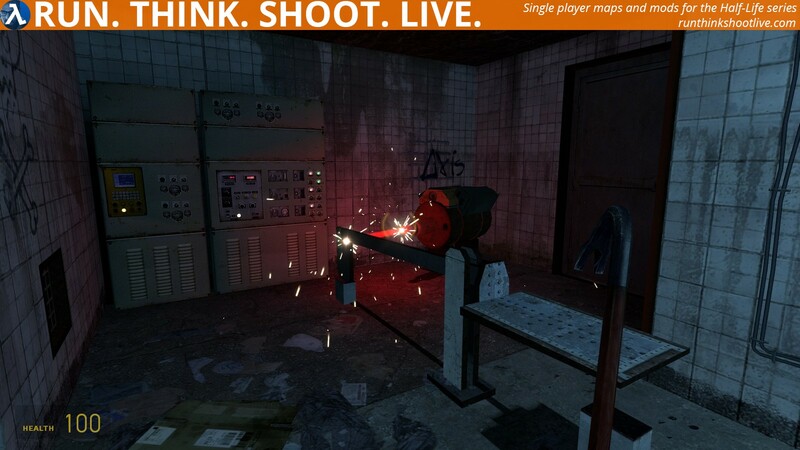 Kudos for also re-using old hl2/ep2 assets and still making new stuff with it, especially the junk lasers and cannons. 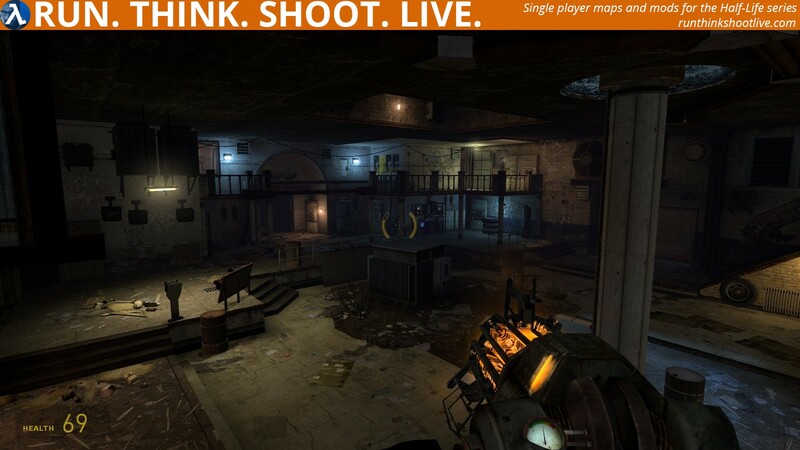 Overall, fun gameplay, decent puzzles and well detailed and made, I hope to see more maps in this style. Ah my mistake, I guess they just share very similar styles then. Miigga isn’t Shadgrimgrvy, but you should go check out Miigga’s other maps. The two authors do have somewhat similar themes, but Miigga holds himself a slight more to a vanilla HL2-abstraction, while Shadgrimgrvy goes full-out weird in his Paranoia/Insomnia/Hydrophobia trilogy. Crashes to desktop at map 2. Cannot load map 2. 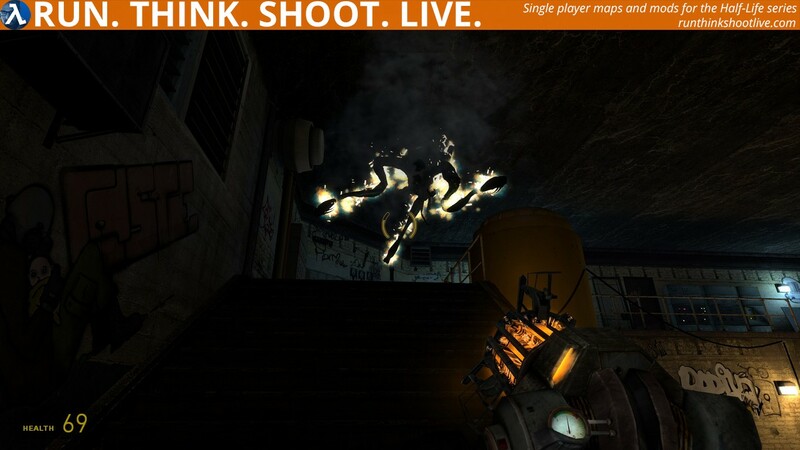 Get error: “HL2 has stopped working, close the program”. Map 1 works fine. Disappointed because I cannot beat the game. Have you tried downloading map 2 directly? Try downloading the archive again. This was great fun. Loved the puzzles even if one or two were a bit frustrating. The melon maze and final battle to name but two. Others have said this but not being able to run while carrying and negotiating gaps means that you are very lucky to get through this without dying several times. As for the combat a few more weapons would have been nice. Completely illogical not to be able to grab a gun off a fallen combine. And talking of illogicality, what’s with the barrel cannon? 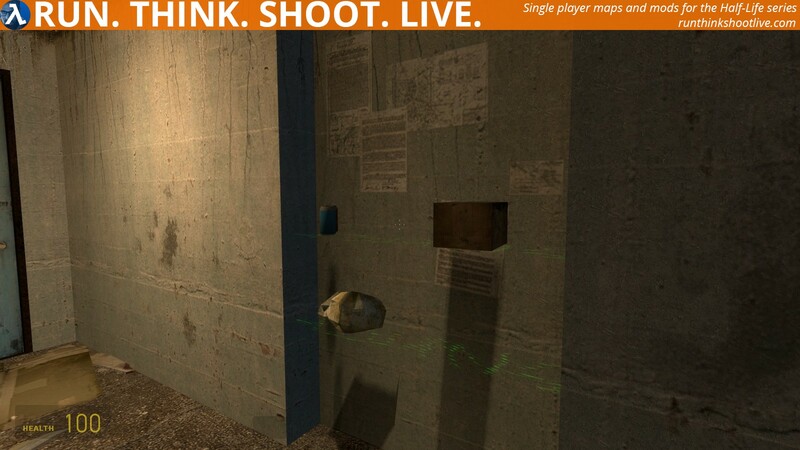 Sure it’s fun to try and aim it at the targets to knock them out but the anti-gravity gun can fire the barrels much harder and at closer range so why doesn’t that destroy the targets also?? The abstract areas are a bit weird and not my favourite environments at the best of times. These were well designed though and thankfully not too long. Completely illogical not to be able to grab a gun off a fallen combine. I went for gameplay first on that decision, and I very much didn’t want to give the player any guns that aren’t the “high damage, but you have to aim well” type. the anti-gravity gun can fire the barrels much harder and at closer range so why doesn’t that destroy the targets also?? That would defeat the point of the puzzle, would it not? 😉 I added systems in place specifically to prevent gravgunning the barrels at the targets from working. That would make this room trivial to pass. I take your points. Perhaps it would have been more logical not to have had a gravity gun at that point rather than it not be able to inflict any damage with the barrels. It’s a bit like invisible walls, not logical. Without the gun the cannon could still have been loaded by hand? You’d have a hard time killing the hunters without a gravity gun 😛 I suppose I could have moved that puzzle to be earlier in the map, before the player is given a gravity gun, but I feel like this cannon thing may be a bit too much to have it right in the start. 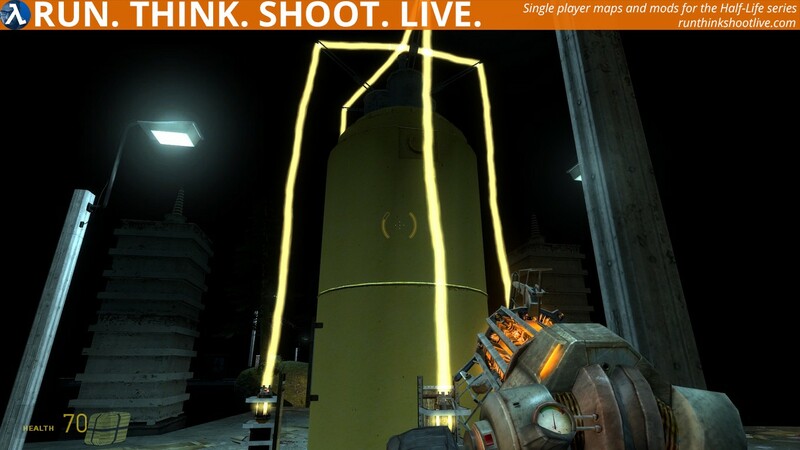 My standard is that the player should be given a gravity gun pretty early on, because it’s one of those things that makes this game Half-Life 2. I never thought of using the grav gun to fire the barrels because that cannon looked fun! Was that also the reason I had trouble with the combine and hunters due to the grav guns lack of power as a weapon? I thought it was the watermelons that made it Half-Life 2! 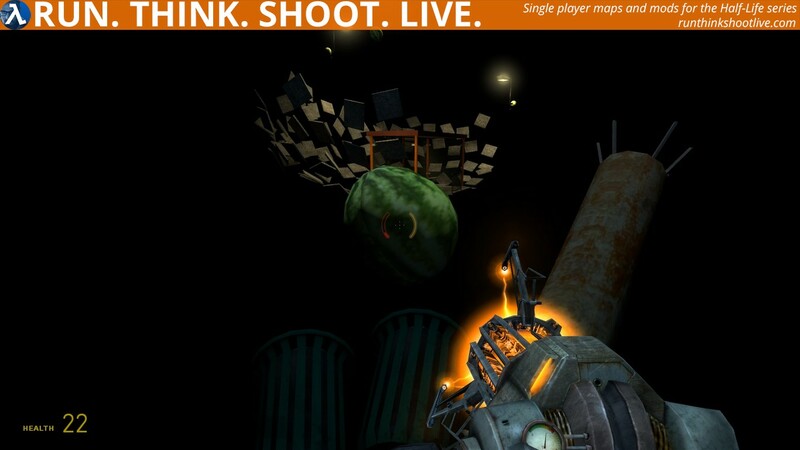 I could tell this was a Miggaa map without reading the credits because of the watermelons! I really enjoyed the puzzles, especially the one with the laser sighted target. Some of them really made me think before finding the solution. This is 2 very enjoyable maps. Another fantastic map from Miigga. I’m unsure whether to give this PF, but I’m jumping on the benefit of the doubt. Not sure if I’m crazy about the map because I’m just fanboying, or if it’s really legitimately good – but when I’m thinking hard, I can’t seem to find any objectively negative things. There were a few odd quirks, like, I don’t think you’re supposed to be able to bring the combine turret throughout the entire map. I held onto it until the gunship fight, and there were a few spots where I could drag it through the green forcefield – I don’t think I’m supposed to be able to. The combat wasnt the best, it was a bit tight some areas, but I still really enjoyed it by fighting alongside the turret. I loved the puzzles. Great process of introduction->deployment->success. Some of the exits were a bit hard for me to notice, but it’s probably just me being a dumbass. Fantastic references to flappy bird and the hydraulic press channel hahahahaha, I knew immediately what you were going for when I pressed the button on the first smasher. Perfect amount of detail in each room. Didn’t feel crammed, but was definitely full of stuff in every nook and cranny. Overall, fantastic map Miigga. I’m so glad you made this, it’s really made a hungover day feel special. If you’re on the verge of making more, I’d love to encourage you to keep it up. The ability to carry the turret with you is very much intended. I intended it as an optional thing that the player can do and it makes the map a bit easier if you do it. I am so happy that the HPC guy decided to do the voice acting line. He’s probably making a bunch of money out of his Youtube fame and there’s no money in doing a voice acting line for some HL2:ep2 map, but he decided to do it anyway. I’m glad you enjoyed my map. Interesting that the turret was a design choice. I’d think most players would bring it through all the way in playtesting, but that might not have been the case? 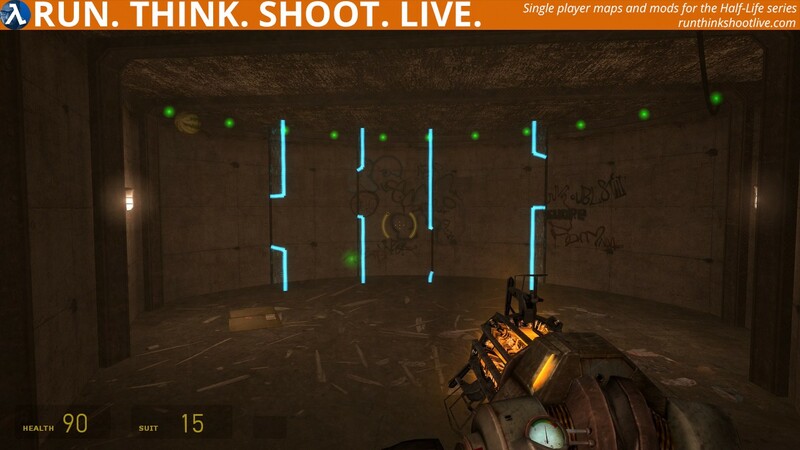 The line hydraulic guy said was specific for the map? That’s really really nice of him, I thought you’d just found it somewhere in one of his videos, haha! Maybe a slight majority of the playtesters carried the turret around with them. the turret was my best bud, lol. Played this today… and enjoyed it so much that I recorded, uploaded and published a Walkthrough straight away! The only complaint, which is a common complaint when it comes to Miigga maps is that it was far too short. But then again, unlike certain people *coughSPYMAPScough* Miigga adopts the quality over quantity philosophy. Atmosphere, lighting, map design.. surreal “dream” sections, well thought out combat set pieces..and of course new unique puzzles – very enjoyable on every level. I suggest people play this for themselves – it would be an hour of quality time. I do like maps with puzzles. I resorted to impulse 101 in the confined arena and buddha mode at the end. I don’t know how I could have proceeded without these cheats. The map really isn’t that hard. 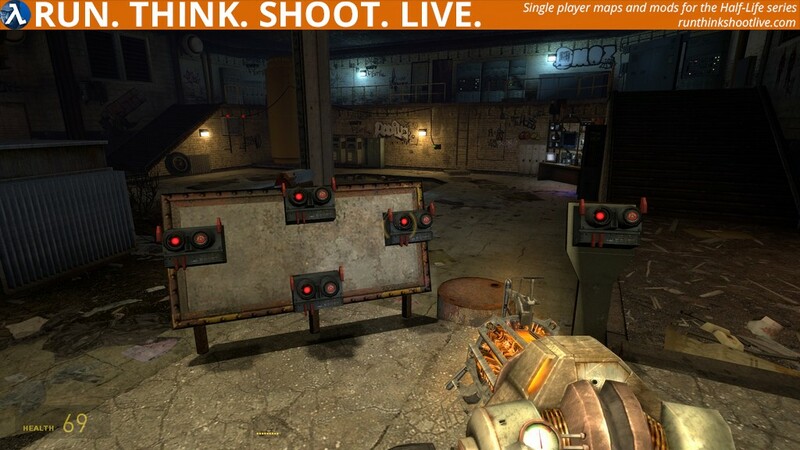 The arenas are kinda tough, but if you keep the turret and use the gravity gun to repel grenades, it’s not impossible. I completed it on Hard, although I will admit I hovered around 20-30 HP at times during the arena. This mod is a lot of fun, has quality environments, original music, and is heavy on puzzles which I found to be quite original. 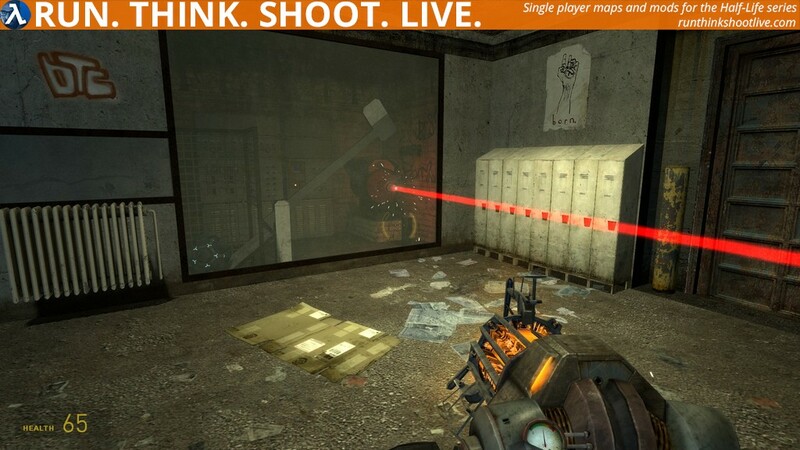 The puzzles are often skillfully weaved together with original and challenging combat scenarios, with which one has little more than the gravity gun to defend oneself. Well done. 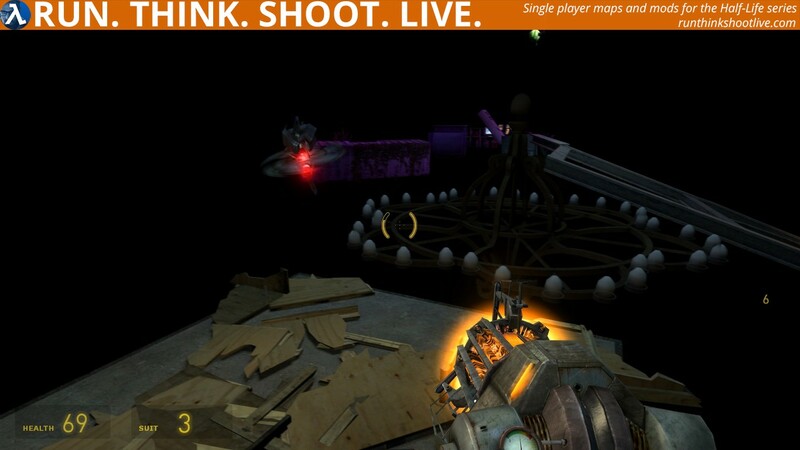 Another very distinctive Miigga map, though I did have some issues with Gauge too like others have said. For whatever reason it doesn’t begin this map on any kind of start menu, rather it moves straight to map 2 because I guess it downloads them in order? I kept wondering why I was given literally one gun and there were some crossbow bolts on the floor for a weapon I didn’t have. 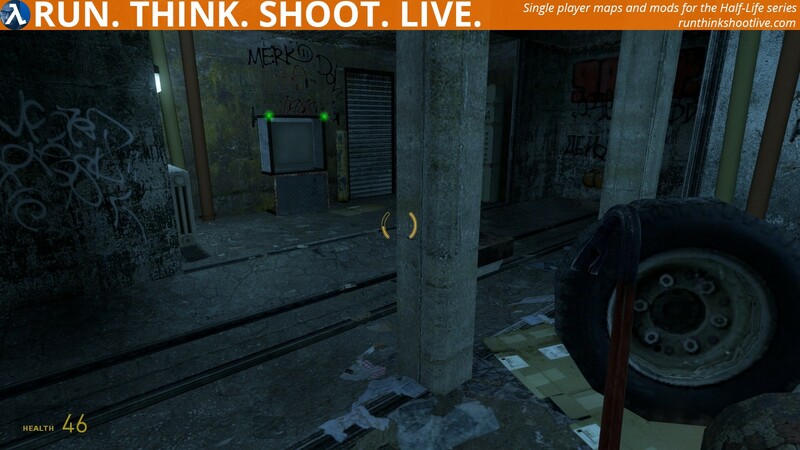 Then I noticed sure enough it was map 2. Overall this was just as fun as any puzzle-laden weirdness-moment-having map, the fights were more than tough enough on easy, and I’d started normal (when stuck in that 2nd map) but I wouldn’t be able to do this on normal even with proper weapons. The limited area in each battle was too challenging, and only because I kept saving did I manage to make it without godmode. I could go my entire life without ever doing another flappy bird routine. I didn’t understand what to do in the first place, because all there was, was one green dot and nothing more. I figured you had to do something with the laser, nothing happened when trying to get it to break the window or … well, whatever else I tried. It took me many, many tries to do that flappy bird part, and I would really never use it again, and it will certainly prevent me from wanting to play this one over. The wall mounted platform bit was also very wonky and I did have to noclip up to the door, because I couldn’t get the panel to remain in the slot, and not kill me when I fell off it and it hit me. Having it wedge into place once you put it in properly should probably have been the way to go. Aside from those things though, it warrants a solid PIL. And why would I put PIN? Because HYDRAULIC PRESS GUY. 😀 We watch that, and it’s hilarious, and even just right when I was getting frustrated by that flappy thing to come here, and saw a comment about it? My housemate was firing up the channel and we watched the current one… So if you have some kind of contact with him, do be sure to thank him for bringing his humor to the mod! 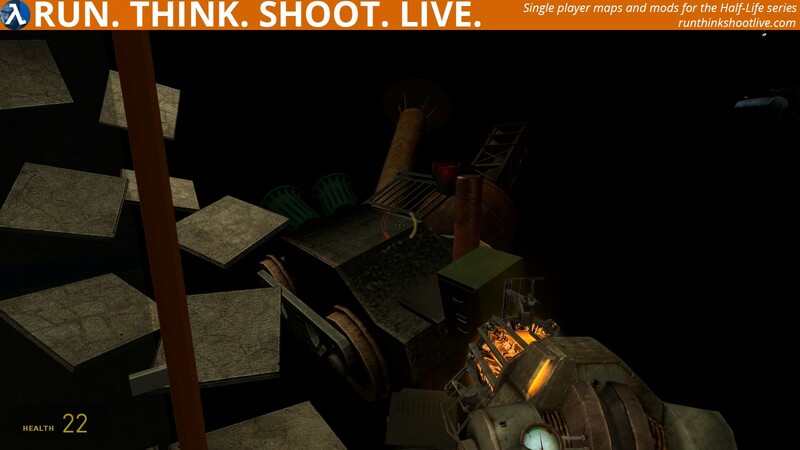 These maps have the best puzzles I’ve ever seen done in a Half-Life mod. 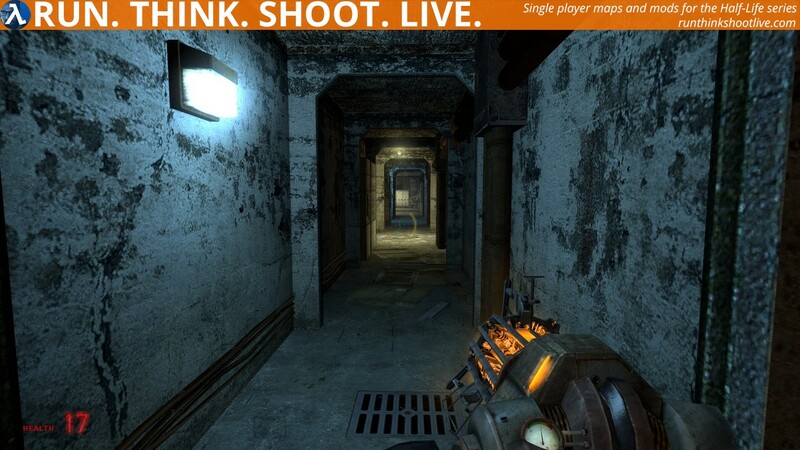 Heck, maybe even in any official Half-Life games. The selection of weapons you get are just about what you need to survive. No shotgun, no SMG, no pistol. 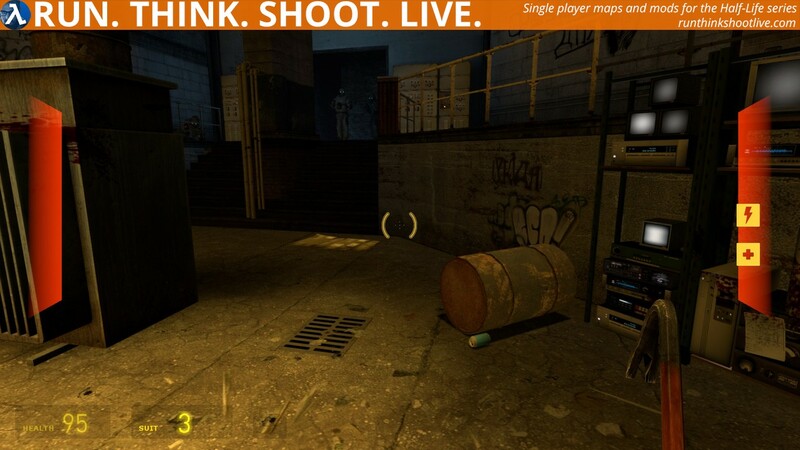 Just your Gravity Gun, Crossbow, couple Grenades, Magnum and your trusty Crowbar. Ammo is not frequent though. So you might want to spare those bullets. Graphically this mod looks great too. It makes use of light rays in some areas (notably the beginning) and the lighting and level detail is done just about right. It’s not long but it doesn’t have to be. It was a great 30 minutes, I enjoyed myself. And so are you, probably. Give it a shot! Decided to give Dysnomitude a spin; this mod relies heavily on puzzles and sometimes reminds me of the Portal series. Early in the game I didn’t knew for a while how to proceed, until I figured out that the green energy fields allow you to pass while still forming a barrier for objects. There’s a broad variety of interesting puzzles and some are very creative. Combat is generally light but gets rather challenging on two occasions. However, healthpacks and batteries are well distributed so things never get insanely hard. Level design seems really polished with a lot of detail and some environments -especially in the second half- are beautifully weird. All in all, Dysnomitude oozes quality. Combat / puzzles ratio is roughly 25/75% and some moments are truly brilliant. I’d say: play it now … ! Migga always do cool stuff. And with a great quality too! So in this case this is not the exception. Though i really quite detest puzzle mods, with Migga work I always find a balance between combat and puzzle, and dynamics that sometimes involve this two elements too, like the final boss gunship battle. Here I like the way Migga passes from the realistic environment in his past mods, to this kind of dream-surreal world. That was a nice different touch in this map. At some point i thought I heard F1 driver Kimi Raikonen speaking, but then I realize it was Migga. 🙂 lol. The custom weapons were cool though the barrel cannon was kind complex and tricky to master it. Anyway play this Migga last work and you won’t be regret. If you want some originality and want to change a little bit the gameplay, go check this mod! 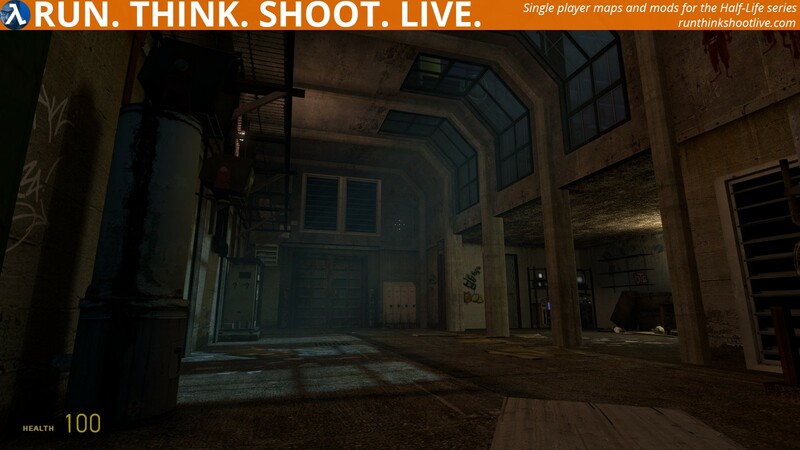 The level design in this mod is incredible! The LOD is amazing, and really well optimized! The “in-between” world is really great. 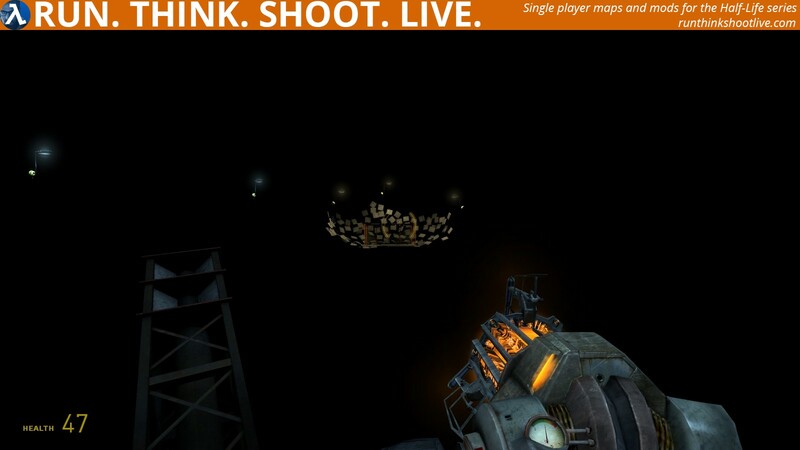 The way of the “no-time” aspect with props flying around like a bad map is really good. A little bit strange when you go through the “normal world” to the “in-between” world but… it’s just a game! The lightning and the sounds are amazing, nothing to say about it! 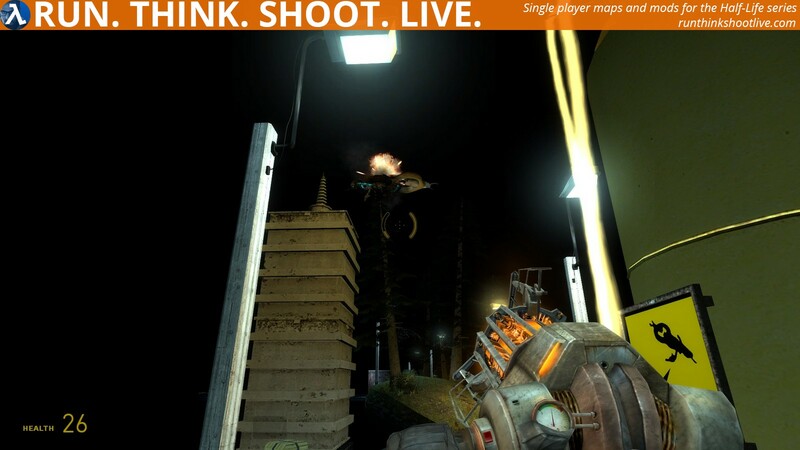 The gameplay is not like a normal Half-Life² mod. This is not a run & shoot game but a run & think & shoot & live 😉 mod! The aspect is really small but really good and well made! Then, there are the new gameplays mechanics like the canon, or the laser, or the props blocking fences… And that is really cool and well made, and well use! If you like mod like the trap in smaller, go check this mod, you will love it!